I first came across Eric Pasveer and his coffee subscription website Le Coffee Guy back in 2015 when I was researching Create Your Own Website the Easy Way. I've been watching his progress with interest since then, and he kindly agreed to let me quiz him about coffee, how his business works, his website, and other matters. How did it all begin, Eric? How was it that you got into coffee? I'll start at the beginning. I'm half-Dutch, half-French, and I was born and raised in the Netherlands. When I was 18 I moved to France where I studied French and English law. I completed law school and then went on to work as a trainee lawyer. After working as an in-house lawyer for about a year, I asked myself, "Is this the kind of job I want to do for the next forty years?" and the answer was no. I'd always wanted to create my own business so I thought, I'm twenty-five years old, I have some cash on the side I can live off for about a year according to my calculations, and now seems like the perfect time. So I thought about what I could do. There's a ninety-nine percent chance that your first business venture will fail, so I realised I needed the experience of how to create a business. At the same time I wanted to do something that I would learn from. And for me, what I wanted to learn about was coffee. I'd visited Colombia a few times, that's where I visited my first coffee plantation in 2009. I became curious - interested on a personal level. I became a kind of coffee amateur. I was thinking I want to work with coffee, but I don't know how yet, so let's try to find a way to combine learning about entrepreneurship with learning about coffee. So that's what I did. I started by brainstorming and doing some market research, thinking about "what is coffee?" I found out that ninety-nine percent of the market is mainstream coffee in France. Nobody knows anything about the concept of speciality coffee and so I wanted to promote speciality coffee in France. It was right before this whole trendy speciality coffee thing started appearing, so I guess I had a nose for it, or something! Anyhow I started with this idea of a monthly coffee club, where every month I would send a different coffee to the members. At the same time my principle was I wanted to create something that was automated as much as possible, and offer things differently, and especially grow organically with none of the whole startup idea of raising funds as fast as possible and growing as fast as possible. So, for the past three or four years I've been working out my business model and working out my product. Little by little found out what the demand was, and what kind of business model I could set up, what customers want, what people think about coffee, and what I want to change. I'm not really responding to any need or demand, I'm creating a new demand for a new type of product - showing people how to see coffee differently from the way they see it today. Everybody has their personal history and their view on coffee - usually it's just that drink you need to wake up and boost your energy. People don't care where it's from, and that's something I'm trying to change. I'm creating curiosity, basically, yes. How do you do that? How do you educate your market? First is convenience; second is pricing, because right now speciality coffee is positioned as a niche luxury product. You have mainstream coffee, which is really cheap, too cheap for what the actual value of coffee is. At the back of the supply chain the producers don't make a lot of money because they're dependent on external factors like the stock exchange - the value of coffee is a big problem. Then you have speciality coffee that tends to be really expensive. But to have a good cup of coffee you cannot pay fourteen, fifteen or even twenty euros for a 250g bag every day. You can't promote speciality coffee to a larger audience if you're excluding a lot of people based on price. So I've tried to organise my whole business and my whole supply chain in a way that reduces costs, and automate it as much as possible so that I can reduce the price, while at the same time providing the highest possible quality. I'm getting more and more competitive, and now I'm starting to compete with the high end supermarket brands like Illy. Obviously speciality coffee needs to be more expensive: if you want good quality, there's a price involved. But it shouldn't be a luxury product. The third obstacle I'm trying to overcome is that coffee is even more complicated than wine. There are so many different aspects and criteria ... Just as with wine, we talk about terroir and soil and the microclimate of the plantation, the botanical variety, the process, the storage, et cetera. With coffee, you have all this plus the fact that the green beans need to be roasted, and every roaster has their own vision, and their way of doing it. Everything comes into play and then again, once you get the beans, it's the way they're prepared that influences the taste. If I send a bag of beans to one customer they might not have the same outcome, because they either don't have the right grind, or they don't have the right dosage ratio between water and grind, or they don't use the same coffee maker - each coffee maker has a different influence. In short it's really difficult to make people understand that these subtle differences can change your evaluation of the coffee. I don't want to get into the snobbery of difficult intimidating vocabulary; I'm trying to make it more fun, make that moment when the customer drinks the coffee a bit more memorable, and make the coffee's nuances easy to understand. So I talk simply about the botanical variety: name it, mention it and explain it, and write about it in a way that it's fun and easy to understand. That's what I'm trying to achieve. So how does it work? I see you have four types of coffee available at the moment. We promote seasonal coffees, in limited editions, so they change regularly. You have a "one size fits all" supermarket coffee where they blend coffees from ten different origins to always have the same taste. They play with taste in terms of intensity, but they don't play with aromas and flavours. Our view is that "consistency is our bête noir" because we don't want to have consistent tastes. We want each coffee to have its own taste. Now we have four coffees, with two more added this week. They rotate according to harvest, according to season, according to selection, et cetera. If people find a coffee they love, they can order it it up until the moment we don't have any more. As a subscription service, we sent you a different coffee every time, however often you want. Customers have an account page where they can select their next coffee so if they've had a coffee before that they particularly like, they can schedule it again. But ultimately the coffees are limited editions which means they are going to change. 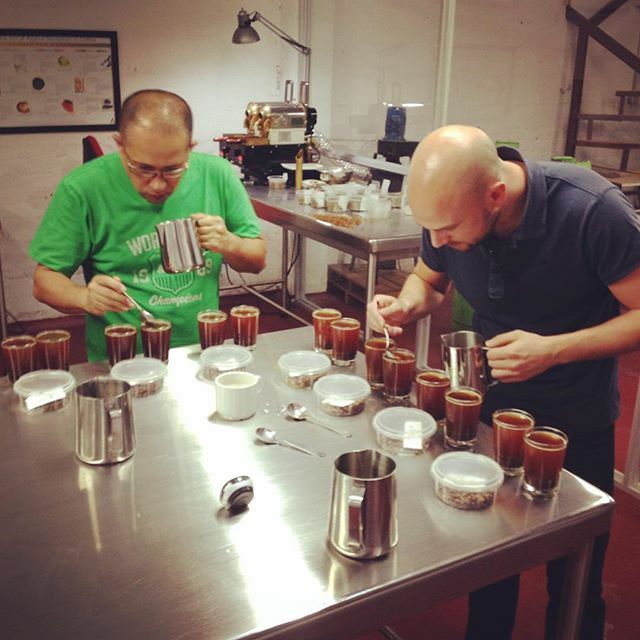 Where does the coffee come from, and who do you work with? I do what I call "semi-direct trade." I would love to do direct trade: go to the farmers and buy their coffee, but it's extremely complex; you need to ship a container of coffee which is 40 tons of green beans. So I work with an importer most of the time. They have the same values and the same vision of coffee that I have. They buy coffee directly from plantations. They evaluate the coffee, they help the farmers grow better quality, they invest in the plantations, and they handle logistics, insurance and storage. I simply just say I want to buy two bags of this coffee, two bags of 60 kg, and then I take it to my roasting facilities, I roast it and I ship it to my customers. I started with a local roaster in the suburbs of Paris, a small family-owned roaster. They use a sort of oven, in a specific shape. They put green coffee into the oven and roast it for between twelve and fourteen minutes, according to what we want, and the brown coffee beans come out. 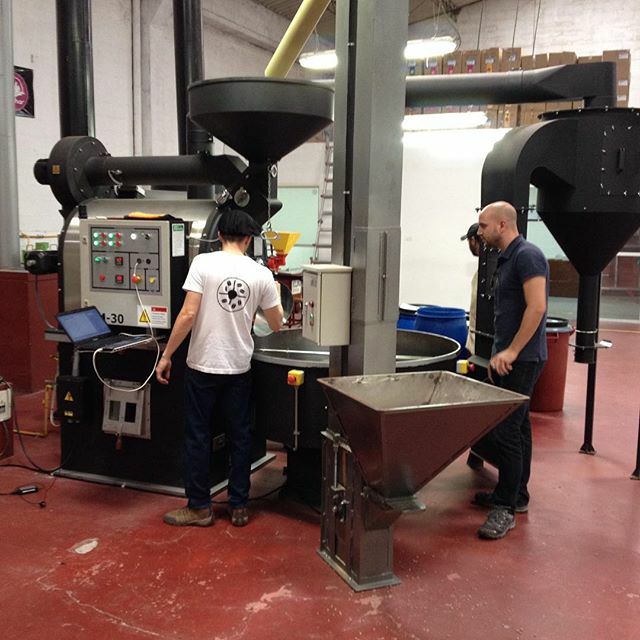 In the spring of last year I became member of something called La Compagnie de Torrefacteurs, which is a group of roasters who combine together to invest in the latest high-tech roasting facilities where everything is automated. Basically the coffee is stored somewhere and with the computer we click on a button and we say we want this particular coffee; it brings it to the roasting machine and roasts it according to the profile that we specify. It's really precise. Once it's roasted it lets it rest a little bit and then it puts it in bags automatically. No manual labour is involved which helps us to reduce the costs. We can also ensure fresher and better quality because no actual hands touch the coffee – everything is done in a protected environment. And the roasting is so consistent. So precise. That you don't have with the local hand roaster . it's roasted in batches . if the roaster doesn't pay attention for just one second he misses something either burns it or doestn't roast it enough so we are more consistent and better quality. You talked about automation. How does that work? Automation is my whole business structure. I work from my computer. I wanted to have a mobile business where I didn’t need to be in a physical place to have my business running. So what happens is I buy green beans from my importer. The coffee is then shipped to the roasting facilities in Strasbourg. I know how much coffee I need to produce as this is a subscription service so I can foresee how much coffee I need to produce on a rolling basis. So I roast, say, 60 kilos of one coffee, put it in small bags of 200g, then I ship that to the facility’s logistics company, right next to my roasting company, that handles the day to day orders. And so all the orders that come from the website go to the logistics company and the logistics company ships it out automatically. Automating everything is the only way for me to keep my costs low and have competitive prices for high quality coffee. I have no overheads because I don’t have any rent. I bid a fixed cost obviously. But other than that, my whole business can operate at between €500-800 a month; whether I have a thousand orders, ten thousand orders, a hundred thousand orders, it doesn’t change. So the overheads are really low. I started with B2C activity with the "coffee-of-the-month club" which was really difficult to do. So I started working with companies, and my first client was BlaBlaCar when they were still a young startup. I grew with them for about three years and ultimately they've become too big for me to supply, so our contract is ending at the end of March. Because they went last year from 250 employees to 500! And then I have about ten companies that I supply regularly. Different quantities, between 5 and 15 kg every month, which was great to generate a bit of volume and to generate a bit of recurring revenue. Now I focus 100 percent on B2C only - online subscription sales that I sell to individuals. I only focus on consumers; I don’t sell to businesses any more. How do you find your customers - or how do they find you? Well that’s what’s so difficult about it. Online marketing is extremely difficult. I’ve just redone my whole branding; I’ve reviewed my whole product and my offerings and now I need to finish up the website. I started working on the IT with a developer - the "back end" of the site, not the design part - and I thought that I could architect it myself. It turned out to be a catastrophe. I'm incredibly impressed that you started learning coding in order to build the website yourself. I did. I spent a year learning it, but there's just so much to learn and what initially was such a simple idea turned out to have really complex implications. Automation is very complex. Are you glad you spend time learning the technical part, or was it a wasted effort in the end? One might say it was a waste of time because you need to specialise and focus on what you’re good at. But because I put in that time learning, I know how it works. It really helps in determining what is possible, what isn’t possible, what do I want, and how do I want the product to work. I can hire someone and clearly say, "I want you to do this and this, in this way." Because the problem is that when you say, "I want a website, I want to sell online," you have developers that have their own ideas, or they're not clear and they use "one size fits all" products like PrestaShop or Shopify, which are really good products. Except my business is so unique in the way it works that these systems aren't really suitable; I need a customised solution. So, having realised that, I’ve learnt so much, because now I know the possibilities, the implications, the costs, and what it takes to build something like that. So I don’t regret having learnt all that. And I actually do use it because I take care of all the "front end" changes; I can change the actual pages of the website in any way I want. So yes, it’s really useful. I only realised I made a mistake about a month or two months ago, but you learn from your mistakes. That's how I ended up hiring the outside developers. I’ve been really clear about what I want; we wrote down the user stories I wanted to have. It was really necessary. So, you said that online marketing is really difficult. How are you doing it? Well, there are two things. I use the "get keep grow” way of getting customers. My whole marketing strategy is based on retention; because this is a subscription service I focus on the "keep" side of things. My product actually has two aspects. One is the physical product: we have the bag of coffee, with the note about the coffee, that gets delivered. The other is the digital product, the service that the customer gets that lets them choose a new coffee really easily, using a different way of buying coffee online, which they don’t have normally. So, I don’t have the online store process where you have to choose a coffee and add it to your basket and go through the five step checkout system to get your coffee, and every time you want new coffee you have to do that. I don’t want to make the customers do that. That’s why I setup the subscription service. Not because it’s a good business model, but because it’s a great way to serve the customer. So they don’t need to re-enter their billing information and go through the whole checkout each time. Once they have a subscription going, they can change it anyway they want or if they just want to choose a coffee to go, they go on to choose the next coffee. That’s it. So, the whole idea behind this to innovate in the way we sell coffee online. I think I’m the first one to really think about that, but I don’t want to be pretentious here! So the second product aspect is digital, and that’s really important, because if there’s the slightest glitch, if something doesn’t work or if people can’t track their order or anything basic like that, they get frustrated and they leave. So the whole user experience from coming online to subscribing, to receiving their first package and managing their subscription, is extremely important. The second thing to think about here is that once someone gets onto your website you need to focus on conversion. How can you convert a person to a customer? There are special techniques and special marketing tactics that you need to put in place so that the website works smoothly and you achieve a high conversion rate. Then you need to get traffic, which is a whole different aspect of getting customers. That’s something you need to learn. You need to learn Facebook ads, social media, your PR: there are a lot of different channels to get traffic to your website. I focus on the main ones. So for me right now I’m focusing on content because I have a lot to say about what I want to do. At the moment I'm blogging on Medium, and this is something I'm going to try develop a bit more. I’m working on my tone of voice and determining what messages I want to send. So to get traffic I'm focusing on Medium and social media, and I'll maybe do a little bit of affiliation marketing: putting my my name on other websites, but I’m not fond of that because you don’t control your branding. I have several other ideas, but the main plan is that for the next few months I’m going to focus on getting a good social media strategy executed as well as working on the blogging, and I'll also be putting out social ads. This will then help me optimise the conversion rate of the website. Then in the last quarter of the year I'll be focusing on traffic. Do you have a preferred social media? I'm testing out some different things. Medium is a really good tool for blogging, and its sort of like a social media in itself in that people read your articles, and you can have hash tags. When you have your own, independent blog, you need to get traffic on your blog which is really complicated. I want to get traffic to my website, not to my blog. I want my blog to generate traffic to my website. So basically, what are Facebook, Twitter, Instagram and Medium? They’re ways of getting your content out there. Medium lets you create longer articles and Facebook is shorter - short messaging interactions with customers - and Instagram is more images. So, it just depends; you have to see which tool you can use. I could use YouTube videos as well, but actually I don't, because making videos is difficult. I mean I’m not good at it - I’m not very creative in that sense. Are you a naturally techie person? Yes, I wanted to have a computer based business and also, I’m naturally interested. I like to know how it works, and I think that's important. There are certain things you just cannot outsource; you can only hire someone to do something if you understand what needs to be done. I could hire someone and say, "I want you to make my marketing plan," but the person doesn’t know the brand history, doesn’t know the vision. You can explain it all you want but you’re not going to get what you need. So you need to do things first yourself, before you can hire or outsource or delegate. I really like the look of your website. I was wondering who did the graphics? That’s a design done by an agency. 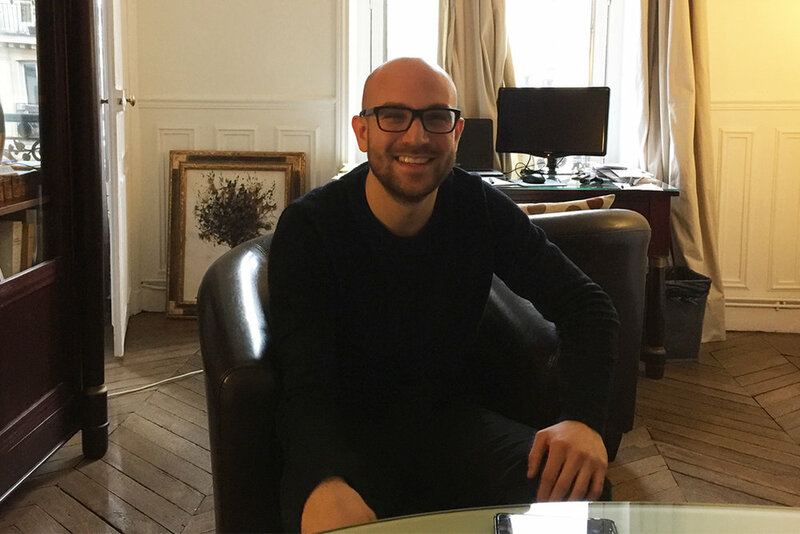 Basically I bootstrapped the business with zero euros and I did that for two years, establishing what my product was, where I wanted to go, what was the business model, and last year in December 2015 I had really good sales. I had about €10,000 in just one month of turnover which is really good. And I had 500 customers, recurring customers, which was pretty great, so I said I need to invest in this, there’s a demand for this. So 2016 was a year of transformation where I reviewed my whole strategy, and reconsidered my positioning, what was unique about this business and where did I want to go. I invested in an agency design because for me branding was important. I mean, what’s important for people to stick around is branding. Branding is extremely important. So I invested a lot into branding and design, and that’s why I hired an agency because you have a whole team of people there to help you and to give you ideas. All the research that you did, getting clear about your brand, who you are and what your message is - is that the most important piece of advice you'd give to someone who's setting up their own business? I think it is. There are different types of businesses that I’ve seen around me. I have a friend who created this online platform for real estate ads, rental ads for apartments. He was passionate about building the business, but just wants to build the business and make it as big as possible and and then sell it. I have a different approach where I want to work with a product I like, I want to do something I enjoy and make people's lives happier and better. Also if I have enough volume I could actually make big changes in the coffee supply chain - that’s how ambitious I am! I don’t know if it’s going to work, but it's an idea, and I feel I'm adding value. Basically, I built something I wanted to have and then I shared it with others. I didn’t go the classic approach of finding a problem and trying to solve the problem for people. So you created something that you wanted to be in yourself. You use an importer. Does this mean you don't actually go to the farmers yourself? I do. I don’t have to, but I want to, because I want to learn how it works. I want to be able to talk about it, but also I want to see where I could potentially make changes in the future. How does the pricing work, why do farmers get certain prices, why do farmers struggle, why don’t they all focus on producing better quality coffee? Basically it's about good education, but there are a lot of things that come into play, and it’s really important to see. So where does the coffee come from? I have strong ties with Colombia because I know many people there. I was planning on going to Costa Rica at the end of February but something came up and I can’t go, but every year I try to make at least one or two trips to coffee plantations, to try to learn and see how it works. So at the moment your coffee comes from Colombia? I have Colombia, Ethiopia, Costa Rica, Brazil and Congo, and there’s a sixth one coming up from Nicaragua. Do the coffees all come from different suppliers? Different plantations, but it’s one importer. A big importer with twenty people working there. They go to the plantations, they test and buy "x" amount of the coffee that's being produced. I don’t have exclusive coffees - my coffees are available to other roasters. But I have a specific roasting profile for each coffee, according to my vision of the coffee, that will end up giving a different result from another roaster's. So the same coffee will not ultimately taste exactly the same. We can see you on your site that every one of the coffees you're providing has its own name, and that you've created a kind of "mini brand" for each type of coffee. Since I want to promote single origin coffees, coffee which comes from a specific place and crop, the idea is that we to create a specific mini brand for each coffee, so that people can actually live that moment and go to that place and say, "Oh wow this coffee reminds me of this, and this is where it’s from," instead of always having a consistent branding. We had that choice. I could make the same branding for each coffee, and just change the name, but it wouldn’t get people into the journey of trying to discover where that coffee was from. 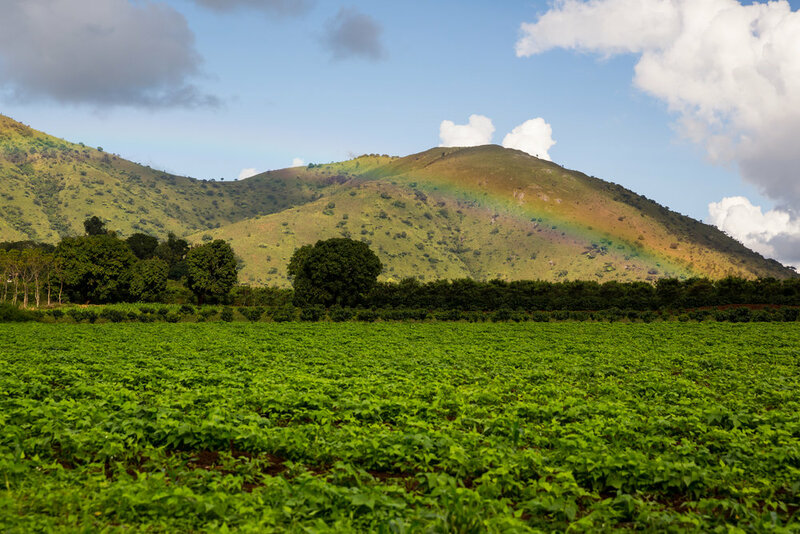 We’re trying to promote the crop, the place where the coffee is from, and at the same time trying to make that moment more fun and adventurous for the consumer. So you are actually location independent, but you like to live here in Paris? Well, I’m moving to Barcelona actually. My girlfriend is from Barcelona. I’m location independent so I have that option. It’s still going to be a French business because I have the foundations here, but I’m opening up some other countries soon. So you’re leaving Paris and you’re going to Spain. Yes. It’s a bit stressful because I’ve been here eleven years so I know a lot of people and Paris is part of me now. You can criticise Paris as much as you want but it’s still a beautiful city and I love it. But I think it’s time for me to move on. I always wanted to go to other places so it’s an opportunity and I’m really looking forward to it. I like the Musée d'Orsay, and I like walking around on the river bank - that's where you get the best view of Paris. Paris has everything. You have the luxury sort of experience: big hotels and restaurants and cocktail bars, and local brasseries and bistrots - it depends on what you feel like. You have so much choice. I went to a Peruvian restaurant last week, for example, Manko, on Avenue Montaigne. It was a bit expensive, but it was really nice and I really enjoyed it. What I love most about Paris is actually the unexpected places. Just being able to come across something new is so strange and so beautiful - from one street to the next you might find yourself in a whole different area. This is what I like most about Paris. Thank you so much, Eric! You can visit Le Coffee Guy here, or read Eric's Medium-based blog, Grab Life by the Beans, here.